Thesis. The Royal Academy of Fine Arts, School of Architecture, Copenhagen. 2014. Awarded with the VOLA prize. The city is a complex and heterogeneous unit, which it is characterized by its diversity. At the same time, the city has its very own identity and acts as a unifying force. 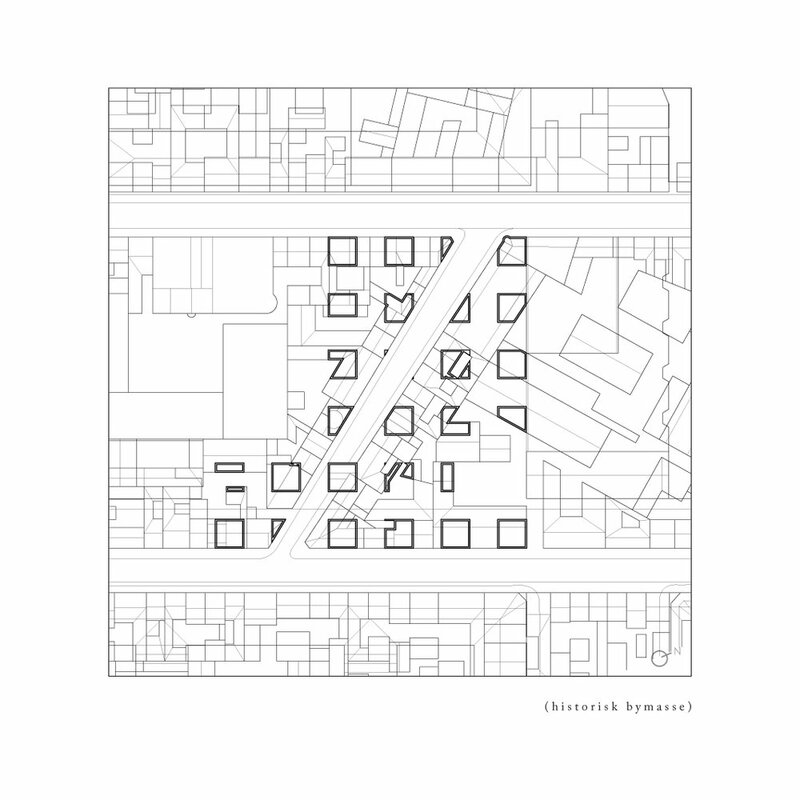 This identity is generated by the movements of the city over time, where the relationship between the past, the present and the future creates a city, which not only includes the concept of itself in the present moment, but also the memory of itself. Copenhagen City Museum is built up by a number of fragments from previous buildings on the site; fragments that emphasize the memory of what once was, but at the same time establish their own presence in the current context. Created by an accumulation of time, these fragments allow the visitors of the museum to interpret and experience the city’s history. On the roof of the building the assemblage of fragments reflect the city, while in the main space on the first floor the otherwise separated fragments appear in new and unexpected contexts.